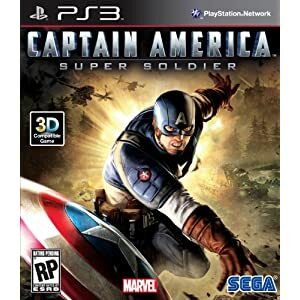 *HOT DEAL* Captain America: Super Soldier Game for Wii, XBox 360, Playstation 3 & More OVER 50% Off! Hurry over to Amazon and grab one of these *HOT DEALS* on the Captain America: Super Soldier game! It’s over 50% off for all game stations … and that price will NOT stay that low for long! These are eligible for FREE Super Saver Shipping on orders over $25 or for Prime Members! The prices listed above were as of 12:52 pm CST on June 18th, 2012. Prices and availability subject to change. Make sure you confirm the purchase price prior to purchase.